Fuel Up For Sports - A+ Lunches / Fiesta Catering Inc. When it comes to excelling on the playing field, what young athletes eat can make a huge difference. A well balanced diet provides children and teens with the energy and nutrients they need to power their workouts and support their rapid growth. 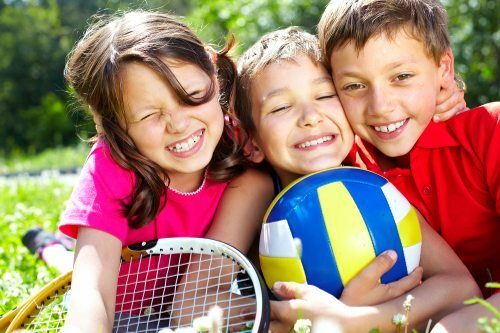 While kids who play team sports have slightly better eating habits and higher intakes of key nutrients than kids who don’t suit up, there’s still plenty of room for improvement according to a 2006 Journal of the American Dietetic Association study. Now, school cafeterias are getting in the game, helping student athletes fuel up for maximum success.